What do words like freedom and democracy mean, today? 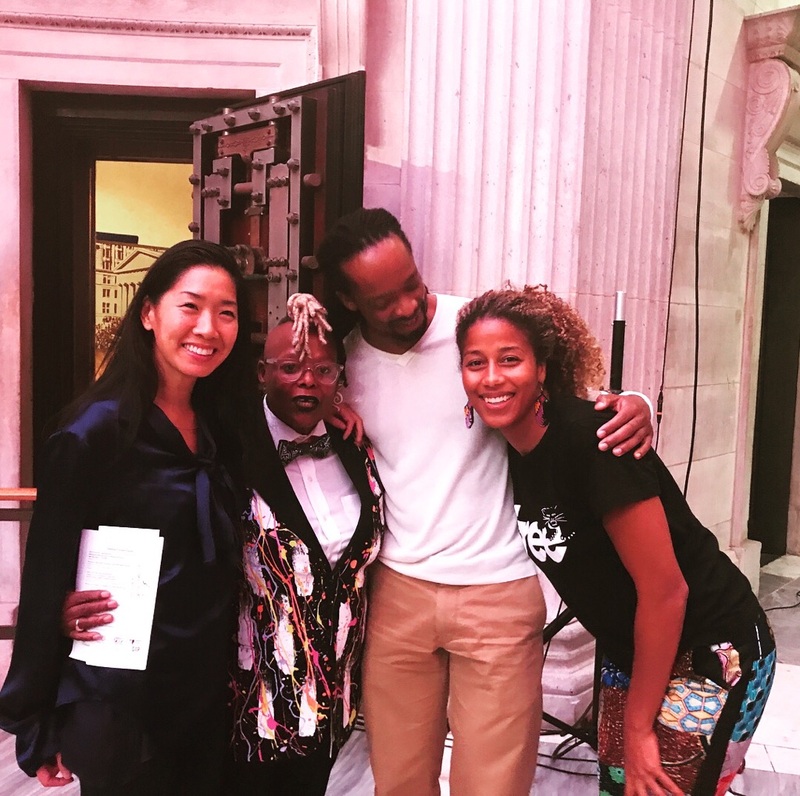 On Tuesday, September 26, 2017, at Federal Hall, New York, Alexis De Veaux, Jericho Brown, Tina Chang & Aja Monet held a public participatory conversation on “Freedom: Personal, Artistic and Civic”. The rhetoric of the past year’s presidential election cycle raised the specter of a divided America, the fallout and reverberations of which seem to threaten our basic democratic ideals and values. With fear and marginalization of the other on the rise, how can we rekindle our commitment to the ideal of freedom, and what does freedom in America even mean? What freedom means to them as writers, individuals and as citizens. They will share their work and that of others who have inspired them, sparking an open conversation with the audience. Alexis De Veaux’s work in multiple genres is nationally and internationally known and has been published in five languages. She is the author of Warrior Poet, A Biography of Audre Lorde (W.W. Norton, 2004), which won several prestigious awards including the Zora Neale Hurston/Richard Wright Foundation Legacy Award, Nonfiction, the Gustavus Meyers Center for the Study of Bigotry and Human Rights Outstanding Book Award, and the Lambda Literary Foundation Award for Biography. 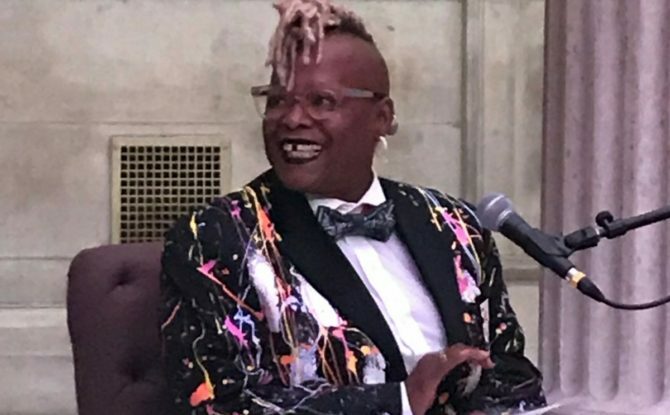 Her novella Yabo (Redbone Press, 2014) won the 2015 Lambda Literary Award for Lesbian Fiction and a 2016 National Book Foundation Summer Reading book. Jericho Brown is an associate professor of English and creative writing at Emory University. He is the recipient of a Whiting Writers’ Award and fellowships from the John Simon Guggenheim Foundation, the Radcliffe Institute for Advanced Study at Harvard University, and the National Endowment for the Arts. Brown’s first book, Please (New Issues 2008), won the American Book Award. His second book, The New Testament (Copper Canyon 2014), won the Anisfield-Wolf Book Award and was named one of the best of the year by Library Journal, Coldfront, and the Academy of American Poets. Tina Chang is the first woman to be named Poet Laureate of Brooklyn. She is the author of two poetry collections, Of Gods & Strangers (Four Way Books, 2011) and Half-Lit Houses (Four Way Books, 2004), and the co-editor of the W.W. Norton anthology Language for a New Century: Contemporary Poetry from the Middle East, Asia, and Beyond (2008). She is the recipient of awards from the New York Foundation for the Arts, Academy of American Poets, Poets & Writers, the Ludwig Vogelstein Foundation, and the Van Lier Foundation among others. Aja Monet is an internationally established poet, singer, performer, educator and human rights advocate whose craft is an in-depth reflection of emotional wisdom, skill, and activism. The youngest individual to win the legendary Nuyorican Poet’s Café Grand Slam title, she is recognized for combining her spellbinding voice and powerful imagery on stage. Her books of poetry include My Mother Was a Freedom Fighter (Haymarket Books, 2017), Inner-City Chants & Cyborg Cyphers (e-book, 2015), and The Black Unicorn Sings (Penmanship Books, 2010). The event was followed by a book signing by the poets and included Alexis De Veaux’s Yabo, Jericho Brown’s The New Testament, Tina Chang’s Of Gods & Strangers and Aja Monet’s My Mother Was a Freedom Fighter. Freedom Forums is presented by the National Parks of New York Harbor Conservancy, the primary nonprofit partner of the National Parks of New York Harbor. It is organized by Harbor Conservancy Literary Arts Advisor Debora Ott and sponsored by a Humanities NY Vision/Action Grant and by the New York State Council on the Arts with the support of Governor Andrew M. Cuomo and the New York State Legislature.